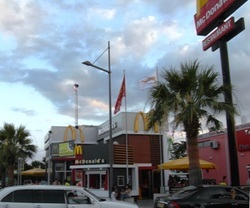 McDonalds is located in the centre of Ayia Napa on Nissi Avenue. It is open until the early hours of the morning all year round. Mezepolis serves Greek and Cypriot food including Meze and is open during the summer months for dinner. It is located on the Grecian bay road of hotels. Moo Moo is open all year round for lunch and dinner and is located on Nissi Avenue close to the centre of Ayia Napa. It serves a mix of Cypriot and international dishes and also has a Mexican corner. Moonlight is a small Greek restaurant tucked away on a side street just a few minutes from the centre of Ayia Napa. It is open all year round for lunch and dinner and serves traditional cuisine. 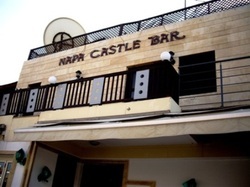 Napa castle is located in the main square of Ayia Napa and is open in the evenings for dinner during the summer months. It's menu offers Cypriot and international dishes. Napa Star Inn is located midway between the centre of Ayia Napa and the harbour. It is open during the summer months for breakfast, lunch and dinner and also has shows in the evening. It serves international dishes and snacks. Napiana restaurant serves Cypriot and international dishes and is open for dinner during the summer months. 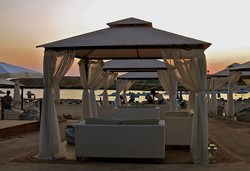 It is located on the way towards the harbour from the centre of Ayia Napa. Naxos restaurant is located on the main strip of Ayia Napa (Ayias Mavris) and is open during the summer months for breakfast, lunch and dinner. It serves Cypriot and international dishes. 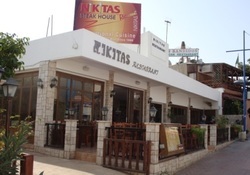 Nikitas is famous for it's plank steak and also serves Italian and traditional Cypriot dishes. 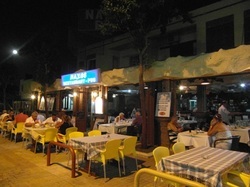 It is open during the summer months for dinner and is located just off the main square of Ayia Napa. Nissaki beach Bar is located at Ayia Thekla and is new for 2014. open in the daytimes and evenings for drinks, snacks and meals. 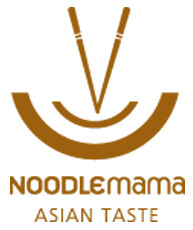 Noodlemania is part of the Limanaki hotel complex and is located at the Ayia Napa harbour. It is open all year round in the evenings for dinner. 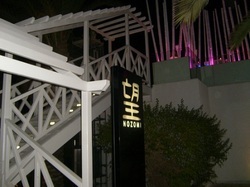 Nozomi, the award winning chain of Japanese bar-restaurants from London, is located at the So Nice Suites at Landa Beach. It is open all year round for dinner service. 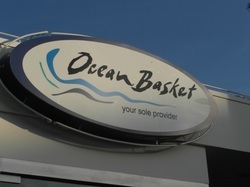 Ocean Basket is located right on Ayia Napa harbour and is open all year round for lunch and dinner. Serving a huge selection of seafood dishes including platters, Ocean basket gets very busy at weekends during the summer. 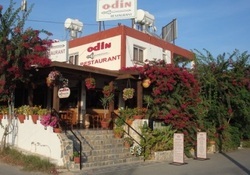 Odin restaurant is open for dinner during the summer months and is centrally located in Ayia Napa just behind Pizza Hut. It serves a range of cuisines including Cypriot and Scandinavian dishes. 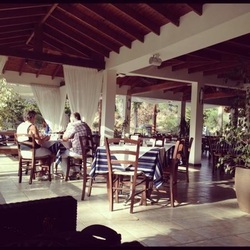 Odyssos Tavern is open all year round and often has live music at weekends. It's menu includes Cypriot and international dishes as well as snacks available throughout the day and into the night. Odyssos is located right on Nissi Avenue in the Nissi bay area.